KNM Uller was a flat-iron gunboat built in 1876. She was later rebuilt as a minelayer and captured by the Germans when they invaded Norway on April 9, 1940. A bomb got very close to the ship, and as a result, the captain beached her on some small skerries. Later a storm built up and as a result, consequently lifted the wreck off the skerries, she therefore sank and was found as late as 2009 in 55 meters of water. KNM Uller is partly intact with her huge muzzle-loading cannon as the main attraction, she lies on a sandy slope, still relatively intact and is a splendid dive for technical divers. The 27-meter long gunship was equipped with two steam engines and several guns and cannons. She carried 50 mines and was deploying the minefield outside Bergen the day before the German invasion. 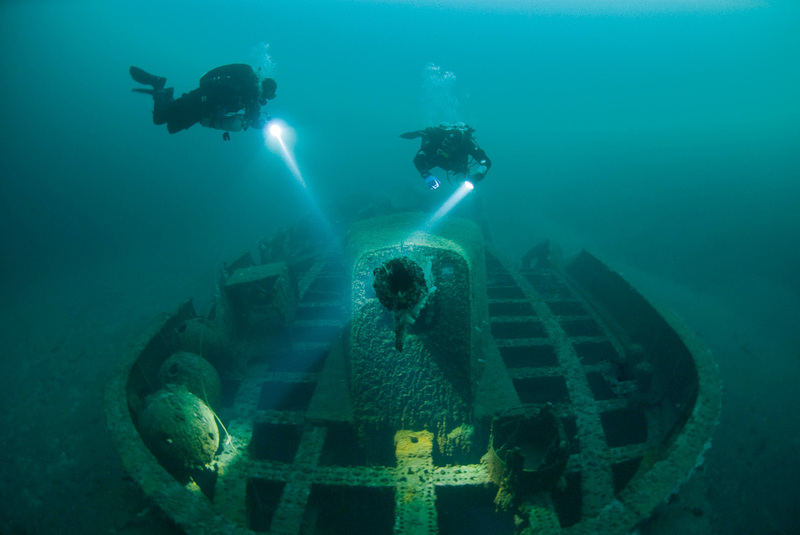 At around 50 meters depth the stern of KNM Uller rest, with her large propeller and rudder as an amazing sight. On the bottom next to the wreck there are still the remains of several mines, more of which can be found on the starboard side on the deck.